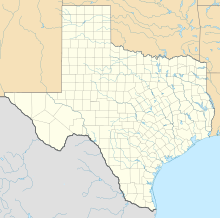 The National Soccer Hall of Fame is a private, non-profit institution established in 1979 located in Toyota Stadium in Frisco, Texas, a suburb of Dallas. The Hall of Fame honors soccer achievements in the United States. Induction into the hall is widely considered the highest honor in American soccer. The Hall of Fame was founded in 1950 by the Philadelphia "Old-timers" Association, a group of former professional and amateur soccer players that wanted to recognize the achievements of soccer in America. The Hall of Fame museum opened on June 12, 1999 in Oneonta, NY. The museum featured the hall of fame, a library, and an interactive soccer play area. The United States National Soccer Team Players Association partnered with the Hall of Fame to create the Time In program, which honored people with a connection to soccer battling leukemia. Since the disease disproportionately targets children a majority of the honorees were youth soccer players. Prior to the 2005 induction of the "Magnificent Five" individuals from the early and mid 20th century had been largely ignored. This change was brought about by the acquisition of a large volume of historical records relating to this period. These records combined with previously developed eligibility criteria led to the induction of Tommy Fleming, Alex McNab, Johnny Nelson, Werner Nilsen and Fabri Salcedo. The notable careers of these five players all took place prior to 1950. The "Magnificent Five" were inducted posthumously into the Hall of Fame in August 2005. Sports Illustrated reported on September 4, 2009, that the Hall announced it would be closing to the public. It was open only on certain match days. As a result of financial difficulties the Hall of Fame cut six of its nine employees during that same month. The director of the Hall of Fame for almost 10 years, Jack Huckel, left his position on December 18, 2009. On February 10, 2010, it was announced that the Hall would close its facility, though inductions will continue. Rendering of the future building for the National Soccer Hall of Fame in Frisco, Texas. The expected opening is October 20, 2018. Image release by Hall of fame. Artifacts from the American Soccer League of the 1920s and 1950s. Pelé’s New York Cosmos jersey. The Lamar Hunt Open Cup trophy. Commemorations of the first U.S. World Cup team in 1930. Eligible individuals may be inducted into one of three categories: Player, Builder and Veteran (player). New individuals are inducted annually. Played at least 20 full international games for the United States. This requirement is reduced to 10 games if the games were prior to 1990. Played at least five seasons in an American first-division professional league (currently MLS or NWSL), and won either the league championship, or the U.S. Open Cup, or was selected as a league all-star at least once. Players who have met either no. 2 or no. 3 but who retired more than 10 years ago are automatically placed on the veteran eligibility list. To be eligible in this category, an individual must have made his or her mark in soccer in a non-playing capacity and have had a major, sustained and positive impact on soccer in the United States at a national or first division professional level. Due to the broad, general nature of the criteria, nominations for this category may be considered. Nominations are screened by the Hall of Fame Historian and Researcher who submit their recommendations to the Hall as to the appropriateness of the nominee's inclusion on the eligibility list. The National Soccer Hall of Fame's Medal of Honor is the highest honor given to people who have grown the sport of soccer in the United States. The Medal is awarded to individuals who has "demonstrated vision and played an historic role in changing the course of soccer in America." The Medal has been given out only four times in history. Oversaw the establishment of MLS. Built the second soccer-specific stadium in the country after Bethlehem Steel in 1913. 3 2001 1991 Women's national team Won the inaugural Women's World Cup. Pushed MLS's development of soccer-specific stadiums. In 2009, the Hall of fame inducted Jeff Agoos and Joy Fawcett into the Hall of Fame in the player category. In 2010, Thomas Dooley and Preki Radosavljević were inducted in the player category, Kyle Rote, Jr. in the Veteran category and Bruce Arena in the Builder category. On February 17, 2011, the Hall of Fame announced the candidates eligible for induction into the Hall of Fame in 2011. This list included individuals for all three categories, Player, Veteran and Builder. On March 29, 2011, the Hall of Fame announced that Cobi Jones, Eddie Pope and Earnie Stewart had been elected for induction into the Hall of Fame in the 2011 Player category. Bruce Murray was selected in the Veteran category, and Bob Gansler was elected in the Builder category. On February 29, 2012, the USSF announced the induction of Tony Meola, Claudio Reyna, Tony DiCicco, and Desmond Armstrong into the Hall of Fame. Reyna and Meola greatly exceeded the two-thirds threshold required to enter the Hall, receiving 96.08% and 90.20% of the vote respectively. On October 11, 2013, the USSF inducted two former U.S. international and MLS stars into the Hall of Fame. Forward Joe-Max Moore and the versatile Peter Vermes were the only players inducted in 2013. On August 3, 2017 former U.S. Women's National Team goalkeeper Briana Scurry, and Joe Machnik were elected to the National Soccer Hall of Fame in the player and builder categories respectively. On May 31, 2018, five new Inductees were announced Cindy Parlow, Brad Friedel, Tiffeny Milbrett, Bob Contiguglia, Don Garber (Deferred from 2016). The 2018 class will be the first class enshrined at the new facility in Frisco, TX. Named after the official historian of the National Soccer Hall of Fame from 1997–2007. Jose is recognized internationally as the preeminent authority on the history of soccer in North America. The award itself honors members of the media whose contributions to soccer in the United States are deemed to be of an "exceptional and sustained" quality. The MLS Hall of Fame Game was an annual friendly match between two MLS teams. It corresponded with the induction of the National Soccer Hall of Fame. The game took place at At-A-Glance Field in Oneonta, NY. ^ a b "Soccer Hall museum director leaves position". Utica Observer Dispatch. December 18, 2009. Archived from the original on February 5, 2013. Retrieved March 15, 2011. ^ a b Shane Evans (September 4, 2009). "National Soccer Hall of Fame to close". Sports Illustrated. Retrieved March 15, 2011. ^ "Red Bulls' Jeff Agoos gets inducted into National Soccer Hall of Fame". Daily News. ^ "ROBERTS SAHAYDAK NAMED TO BALLOT FOR 2011 NATIONAL SOCCER HALL OF FAME CLASS". ^ "2010 Hall of Fame Induction Quote Sheet". Archived from the original on August 7, 2011. ^ "Rutgers Standout Lalas Elected to National Soccer Hall of Fame". Archived from the original on |archive-url= requires |archive-date= (help). ^ a b "National Soccer Hall of Fame: Hall History". U.S. Soccer. Archived from the original on March 12, 2017. Retrieved March 19, 2017. ^ "Thursday's Daily: The Hall Without An Address". US Soccer Players. February 11, 2010. Retrieved March 15, 2011. ^ "US Soccer Hall of Fame inducts five top veterans of the early 20th century". The American Soccer History Archives. Dave Litterer. July 11, 2005. Retrieved March 16, 2011. ^ Fran Perritano (February 10, 2010). "Soccer Hall of Fame closes". Utica Observer Dispatch. Archived from the original on May 24, 2012. Retrieved March 15, 2011. ^ "National Soccer Hall of Fame to Change Operating Model, Relocate Exhibits and Archives". National Soccer Foundation. February 10, 2010. Archived from the original on November 20, 2010. Retrieved March 15, 2011. ^ MLSsoccer.com staff (September 30, 2015). "US Soccer, FC Dallas announce new National Soccer Hall of Fame to be built at Toyota Stadium". mlssoccer.com. Retrieved October 8, 2015. ^ Wigglesworth, Valerie (December 12, 2017). "New Soccer Hall of Fame in Frisco will kick off in October with induction ceremony, games". Dallas Morning News. Retrieved December 13, 2017. ^ "History Associates Celebrates the History of Soccer with the Grand Opening of the new National Soccer Hall of Fame". HistoryAssociates.com. Retrieved December 1, 2018. ^ L.E. Eisenmenger (February 2, 2010). "National Soccer Hall Of Fame Looks Ahead". ussoccerplayers.com. Retrieved March 15, 2011. ^ "Cobi Jones, Eddie Pope, and Earnie Stewart Elected to National Soccer Hall of Fame Class of 2011". United States Soccer Federation. Archived from the original on December 27, 2013. ^ "National Soccer Hall of Fame Class of 2012 Ballots Finalized". United States Soccer Federation. January 31, 2012. Archived from the original on February 4, 2012. Retrieved February 1, 2012. ^ "Briana Scurry, Dr. Joe Machnik Elected to National Soccer Hall of Fame Class of 2017". www.ussoccer.com. U.S. Soccer. Retrieved August 4, 2017. ^ "FIVE MEMBERS OF 2018 CLASS OF THE NATIONAL SOCCER HALL OF FAME ANNOUNCED". US Soccer. May 31, 2018. Retrieved June 1, 2018. ^ "Kasey Keller, Sigi Schmid and Glenn "Mooch" Myernick Elected to National Soccer Hall of Fame". ^ Game was canceled due to injuries on both teams.